It is that time of year again when you want to start planning your next Walt Disney World Vacation. It is the moment you miss your real home, your happy place. It is the place where magic never ends and the place you can let your inner child lose. Planning vacations to Disney World is no easy task. As you think and plan, all sorts of questions may be flooding your brain. You are making dining plans, booking fast passes, narrowing down hotel reservations and so much more. 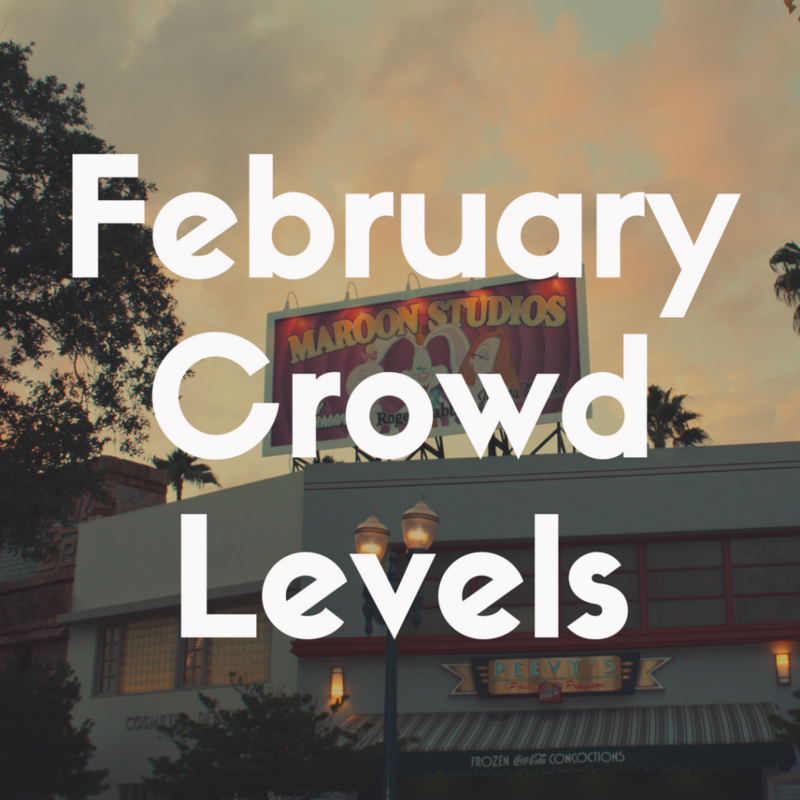 But before all of that, the most common question many people need to find out is this: what are the crowd levels at Disney World in February? Well, in this article, I’m going to provide you with all the important information you need to know about avoiding crowds at Disney World in February so that you can have the best vacation possible! First of all, I want to talk about if it is even a good idea to go to Disney World during the month of February. To show you if it is or not, I want to explain a little tool to you called Crowd Calendars. Now, you may or may not have heard of this little tool. It is something that people have created outside of Disney and it is in simplest terms a tool that predicts what the crowd levels would be at any given point of the year or month. Some of them are even so advanced that they can tell you the crowd level for any given day. Based on my research using them and based on my personal experiences with traveling to Disney during the month of February, I can tell you that the month of February is a great month to visit Walt Disney World. It is a month that is in the off-peak season as most of the travelers have left from the holidays and the traffic for spring break has not yet hit the parks as spring break is a few months away. Now even though I say that it is a great month to visit, do not think that the park will simply be completely empty. There will be a crowd, but not as big as the summer would be. Going in February has its perks and you would not regret it. That being said, you may now be thinking just when exactly in February is a great time to go. Well a good rule of thumb is to go to the parks during the weekdays and stay away from them during the weekend. That would mean go to them (Mon-Thurs) and stay away from them (Fri-Sun). The weekends is usually when Annual Passholders go to the parks as most families have kids in school. You can get away with going to the parks in the morning/early afternoon on Friday’s but the night is definitely going to be more busy. With that stuff in mind most of February is a great time to go, but there are a few dates to avoid which I will explain later. For more on this subject, check out my article entitled Disney World Crowd Calendar for February. 2) What’s up in the World? As you are planning to go to Disney with your family in February, you may start to wonder what events will be happening during the month of February? Well, generally speaking there is not much happening, or well not much has happened in previous years. It really is the off-peak season as new rides generally do not open in February granted anything ‘new’ doesn’t really open up in February. Even though there is not much that happens during February, there are some things that do happen and things you can look forward to. The very first thing I want to mention is the Epcot International Festival of the Arts. Now, if this festival seems like you have never heard of it before, that is because you probably have not. In fact, this festival made its inaugural debut in 2017. This new festival celebrates all of the arts; Culinary Arts, Performing Arts, Classical Art, and practically every kind of art you can think of. 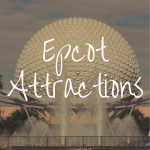 All throughout Epcot you can find living statues, food kiosk, merchandise, art galleries, art for sale, you can participate in classes and so much more! To end the night, the American Gardens Theater (the theater in the American Pavilion) comes alive with the Disney on Broadway Concert series where an actor from a famous Disney broadway show comes out and sing some songs from a Disney broadway show. If you and your family is into art, then this is a great festival for you to go to. In my personal experience it was really amazing as there were even things for kids to such as paint on a giant paint-by-number wall (free with admission). In 2017, the Epcot International Festival of the Arts took place from January 13th to February 20th and in 2018, it ran from January 12th to February 19th. So, my point being is if you would like to go to that festival you need to make sure you plan your trip around those dates. All that said, the perfect time to go to Disney would be during February before or after the Princess Run. If you go February 25th-March 4th (1 week) you then avoid the crowd from the run, and get to go to Flower and Garden. If you go anytime in February before the 21st, you’ll avoid the crowds from the Princess run and get to go to Festival of the Arts. So, you made plans to travel in February and also know some of the things you can do during that time. 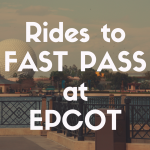 Now, you need to start wondering about what rides to get fast passes for and so forth. The age old question is what Fast passes do I get? To answer that question, you need to think about all of the factors. What kinds of rides does your family enjoy the most? 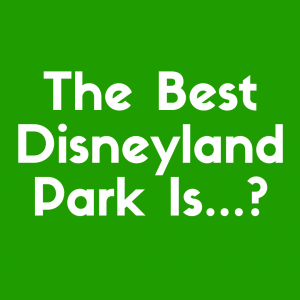 Does your family have certain favorite rides they love? Is there any rides you and your family have never been on? In February it is a bit easier to get Fast passes than say in the summer months because again, not much is going on and it is kind of dead in the parks. 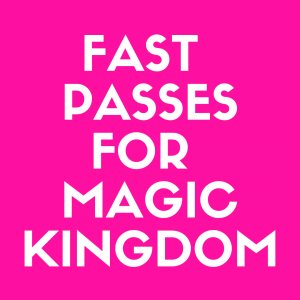 You can reserve 3 Fast passes a day for each day you have valid park admission and can reserve them 60 days out (from the day you plan on reserving the Fast pass) if you are staying on Disney Property and if you are staying off property you can reserve them 30 days ahead of the day you want to go. As for waiting in lines for the rides that you do not have a Fast pass for, the wait times should be not very long (about 10-45 max) during the month of February, but they will increase once the crowds get there for the Princess Run. My best tips are to reserve the rides you really want to go on the most, and then wait in standby for all of the others. For the rides that you cannot get a Fast pass for I recommend rope dropping the ride which basically just means getting to the park early and going to that ride straight away. 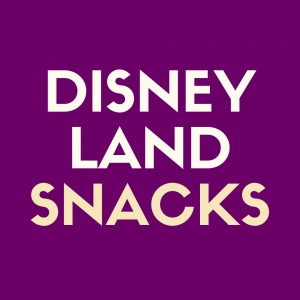 When going to Disney World at any given time, whether that be in February or that be in July, you got to know the most popular things people do in the park. Without knowing, you may just walk right up into a trap. That trap is waiting a really long time in line. Now, even though it may seem dead in the parks during February, there is still going to be lines for the rides. There is almost never, ever a day in which every ride has a 0 minute wait. There is always a line, always a wait for something. Sometimes you just got to be smart and find a way to slay the giant. You can have your cake and eat it too, but you just have to have a plan. In Magic Kingdom, the most popular rides are Seven Dwarfs Mine Train, the mountains (Splash,Thunder, Space), Buzz, Peter Pan, Jungle and Pirates. In Epcot the most popular rides are Test Track, Frozen, and Soarin. At Animal Kingdom, the most popular ones are the rides in Pandora, Everest, and the Safaris. And lastly, at Hollywood Studios, you have Star Tours, Toy Story and Rockin Roller Coaster. These rides almost always have long waits so it is recommended to get a Fastpass or go early in the morning on these rides. One thing I want to mention right off the bat is that yes, February is a month that is usually quite dead. Yes, during most of the month the crowds are not that much. And yes, if you go on a certain day such as a Monday as opposed to a Saturday it will realistically be possible. All of these are true, but all of these are based on personal experience and educated reasoning. That being said, there may be that really weird one day where it becomes really busy in the parks during February. We sometimes cannot plan for everything and bad things happen. It may not have ever happened to you, and hopefully it won’t ever happen but sometimes bad things happen to us while on vacation and even at Disney. So what do you do about it then? Well, there is some things you can do to make your horrible day really amazing. For starters, if you cannot get onto your favorite ride that very day, just do not stress. Simply go back at a later day (that is if you can go back). Another thing you can do is to simply just tell someone. Go to Guest Relations and just tell them how you have had a bad day. Tell them what made you upset or angry. Now, I am not saying to go and complain to them, but I am saying that sometimes there really is a legitimate problem where a Cast Member did not treat you very well. You need to tell someone and sometimes just getting it off of your chest is all it takes. Some other things you can do are getting a hug from your favorite character which will make you smile and you could even get one of your favorite food items! Really find something that will make you happy as Disney World is the Happiest Place on Earth after all (okay, okay, I know—Disneyland is technically the Happiest Place on Earth. But you know what I mean). Overall, going to the parks in February is really one of the best times to go to Disney World. It is quiet, not too hot, lines are not super long and is really a great experience. Yes, there may not be tons of events going on, but nonetheless you are sure to have an amazing time! It really gives you the perfect environment. In my opinion, I love the nice cool weather and I love being able to walk on to some of my favorite rides. It is also just really nice to walk around the park and not feel like you cannot even move. 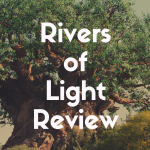 I hope that these 5 tips were insightful for you and can possibly help you plan your next Walt Disney World Vacation!